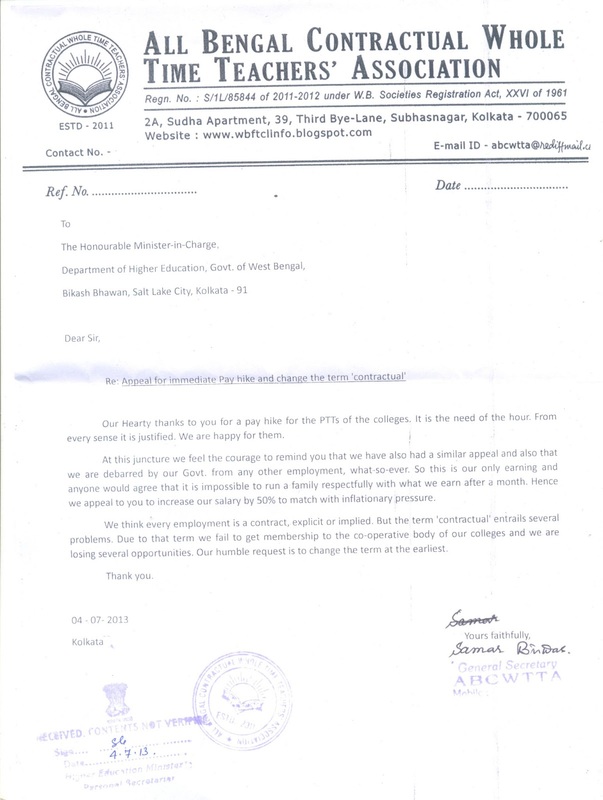 ALL BENGAL CONTRACTUAL WHOLE TIME TEACHERS ASSOCIATION: We met Higher Education Officials, West Bengal Government on 04.07.2013 and after a long discussion we have submitted our proposals in the office for consideration. 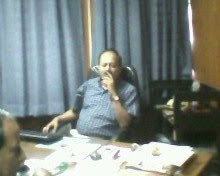 Pending cases are under processing and we are looking for a fruitful result within a short period. We have also submitted proposals about pay hike and appealed for changing the term "contractual" from our current designation. 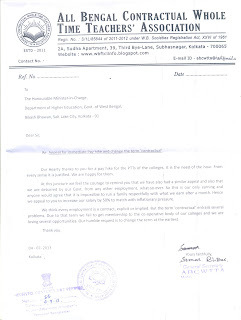 We met Higher Education Officials, West Bengal Government on 04.07.2013 and after a long discussion we have submitted our proposals in the office for consideration. 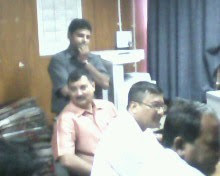 Pending cases are under processing and we are looking for a fruitful result within a short period. We have also submitted proposals about pay hike and appealed for changing the term "contractual" from our current designation.